Just look at this dim sum spread! 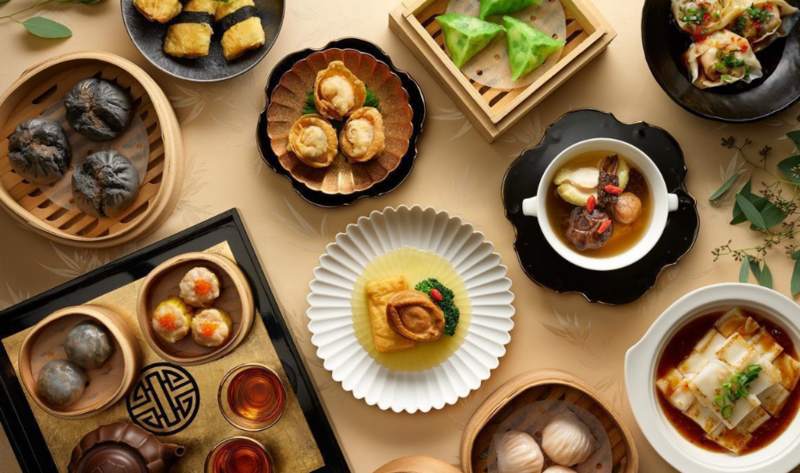 How much dim sum can you eat? 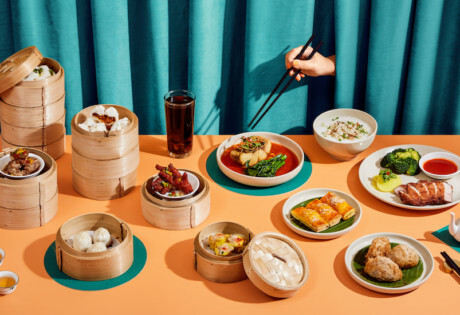 Have your fill at the weekday and weekend dim sum buffets where you can have as many servings of your favourite dumplings as you wish. We say the new additions are a must-try. We’re eyeing the barbecue pork bun with black truffles, plus the pork and prawn dumplings topped with fish roe. Seriously, there are so many delicious additions to the menu that we don’t even know where to begin. Let’s start with a new specialty: the crispy BBQ suckling pig stuffed with prawn paste, chilled crab meat in Japanese sake and deep-fried prawn in raspberry sauce. Whew, that was a mouthful! But kudos to Chef Ben for dreaming up this flavourful combination. 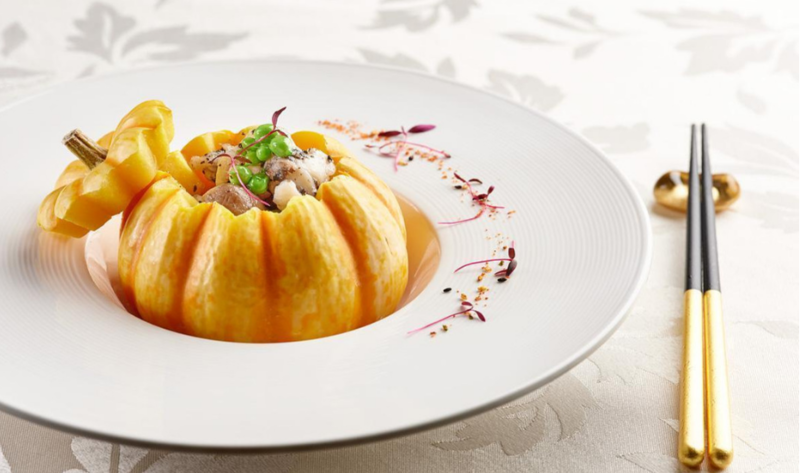 Another unexpected, innovative, combination is the stir-fried lobster with truffle sauce (a blend of mushrooms and truffles), served in a pumpkin. This is how Hai Tien Lo does delicacies. 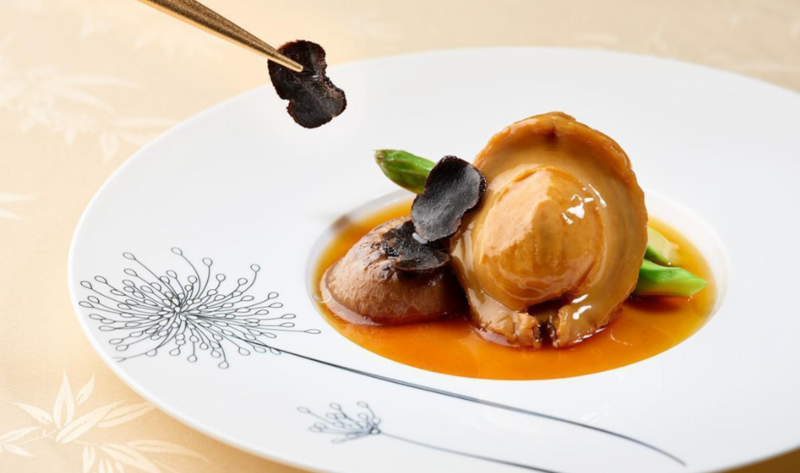 The East-meets-West rendition of Australian abalone with Japanese mushroom is another interesting approach. It gives a nod to Chinese dishes that elevate abalone as the star ingredient, while the ribeye fillet cooked in red wine sauce is a contemporary crowd-pleaser. In the mood for a comforting bowl of soup? 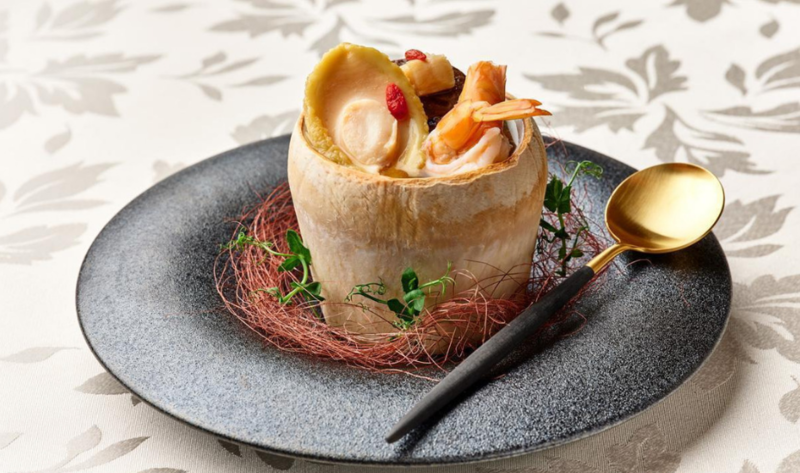 Go for the double-boiled chicken soup with abalone, dried scallops, prawns and mushrooms, all served in a young coconut. Drink the soup, savour the meat and seafood, and when you’re done, you’ll even have the sweet coconut flesh to enjoy. Hai Tien Lo is waiting for you with the newly refreshed menu, featuring innovative recipes, premium ingredients, and Cantonese favourites (we can’t resist the double boiled soups!). This post is in partnership with Pan Pacific Singapore.